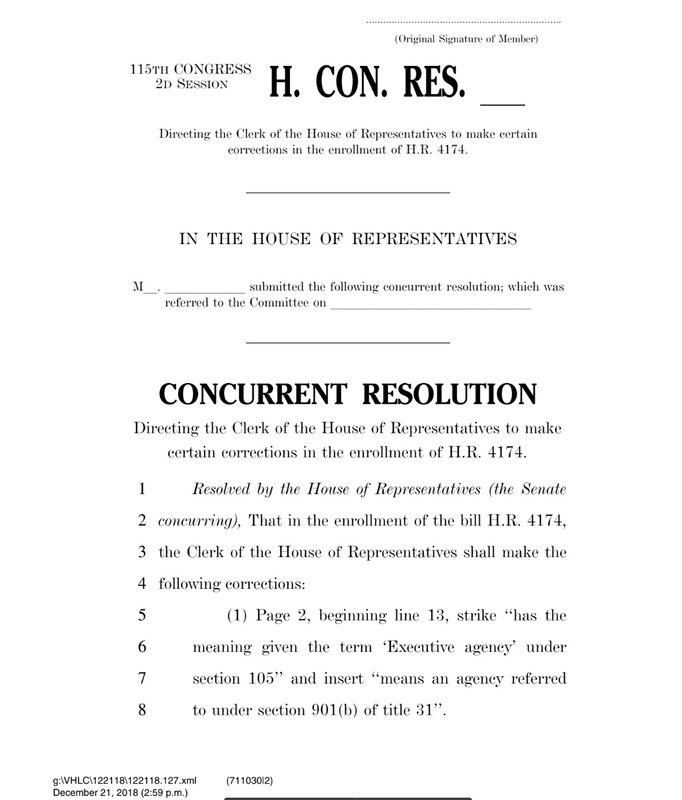 On December 21, 2018, the United States House of Representatives voted to enact H.R. 4174, the Foundations for Evidence-Based Policymaking Act of 2017, in a historic win for open government in the United States of America. For the full backstory on what’s in the bill and how it came to pass, read yesterday’s feature. It’s worth noting that last minute objection did result in two amendments that the Senate had to act upon. Thankfully, on Saturday, December 22nd, the Senate acted, passing the resolution required to send the bill onwards to the president’s desk. Here’s what changed: First, the text of Title I was amended so that it only applied to CFO Act agencies, not the Federal Reserve or smaller agencies. Title II (the Open Government Act) still applies to all federal agencies. Second, there was a carve out in Title I “for data that does not concern monetary policy,” which relates to the Federal Reserve, among others. While the shift weakened the first title of the bill a bit, this was still a historic moment: Congress has passed a law to make open data part of of the US Code. While the United States is not the first or even the second democracy to pass an open data law – France and Germany have that distinction – this is a welcome advance, codifying the open government data policies, practices, roles and websites (looking at you, Data.gov) that the federal government had adopted over the past decade. Open government activists, advocates and champions continue to celebrate, online and off. Congratulations to everyone who has pushed for this outcome for years. This post has been updated, and corrected: France was ahead of Germany in enacting an open data law.